How Artists are Using VR Technology to Reach Audience ? Virtual reality is still intriguing, in no small part because it presents viewers with an unexpected level of reality. The technology has not just delighted the art world but also injected it with inspiration and creativity due to its potential. Virtual reality and 3D imaging are already changing the way artists create, but the VR technology, in particular, has the power to make art more accessible. Virtual reality is such a futuristic concept that people tend to view it through a lens that’s pointed toward the future. New York’s Jewish Museum, however, uses VR technology to immerse people in the past. 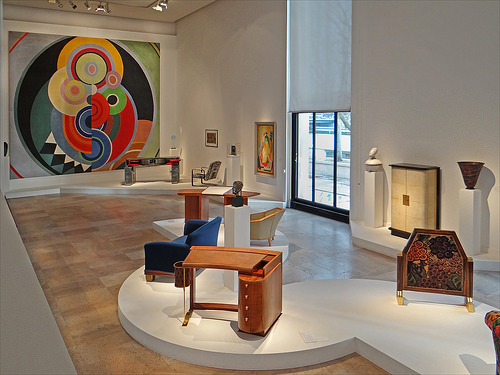 Until March of 2017, the museum presented an exhibit highlighting Pierre Chareau, a French architect and designer. Specifically, the exhibition focused on Chareau’s Mason de Verre, a breathtaking glass house in Paris. The virtual reality aspect allowed visitors to virtually visit the house for themselves. After slipping on the provided VR goggles, the furniture appeared in situ. The Jewish Museum’s innovation has far-reaching potential. Museums can share exhibitions without transporting fragile works of art. Sites, buildings, and homes relevant to art, literature, music, and history could become more accessible to people all over the world. Sculptors and other tactile artists who work with heavy, unwieldy materials can share their installations without moving them. On the subject of sharing exhibitions, no matter where they originate, many museums are already putting VR technology to good use. For example, lovers of art can already see streaming 3D representations of the works exhibited at London’s Dulwich Picture Gallery, Brussels’ BOZAR, Cape Town’s Robben Island Museum, and Rio de Janeiro’s Museu de Arte Moderna. It’s not possible, probable, or practical for most people to travel to faraway places and, even still, it’s all too easy to miss a museum or an exhibit. It’s even easier to miss a special installation. VR technology allows institutions to share their galleries with anyone who visits their websites. The virtual reality aspect and 3D imaging set the experience apart from merely clicking through an online gallery. There’s an app for everything. It’s no surprise that museums want to get it on the action. Museums such as the Renwick Gallery, which is a Smithsonian installation, use virtual reality to take their apps even further. 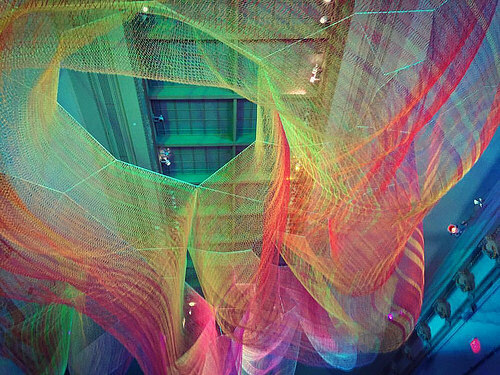 The Renwick Gallery recently hosted a sculpture show called “Wonder,” which visitors loved. The show was so popular that the gallery decided to share it with as many people as possible, resulting in a VR re-creation of the exhibit. It’s an even more intense experience than a virtual walk-through, and all you need to enjoy it is a smartphone. However, your enjoyment depends on sharp resolution and a fast connection. Some networks are too slow, and the resolution on some phones is too lacking. If you want to make sure the re-creations you view are as true-to-life as possible, look into smartphones from a reliable network like T-Mobile. The last thing you want is to get stuck waiting for the app to buffer or squinting to see the exhibits. Artists have the unique opportunity to introduce their audiences to strange, new places. Artist Daniel Steegman Mangrané utilizes VR technology to take his viewers to a rain forest in Brazil, where they can listen to the rustle of the leaves and watch the water drip from the trees. Designers, painters, and graphic artists are all taking advantage of the potential to create three-dimensional worlds. It lends another layer to the artistic process and allows creators to delve deeper — and to bring their audience along for the ride. Some artists and museums are now creating VR art specifically so people can view it on their smartphones. The New Museum just partnered with Rhizome, its media branch, to create an exhibit featuring six pieces of digital art. The works all used animation, and each piece is more surreal than the last. With VR technology, anything is possible. People can learn about art without leaving their homes. The trend is sure to spread to other creators, such as musicians. Do you think virtual reality belongs in the art world?